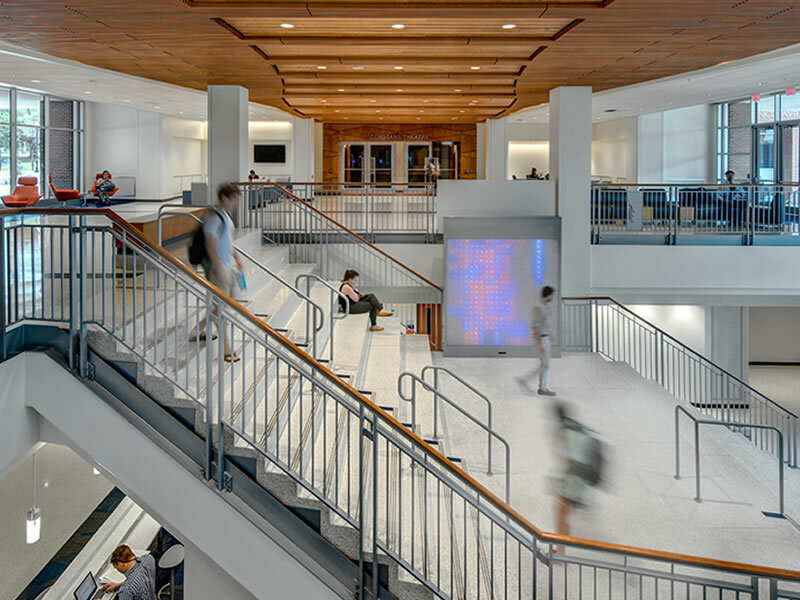 Structural Engineers Group, Inc was chosen to provide structural design and detailing of the expansion and renovation of The J. Wayne Reitz Union (JWRU) at the heart of campus at the University of Florida. 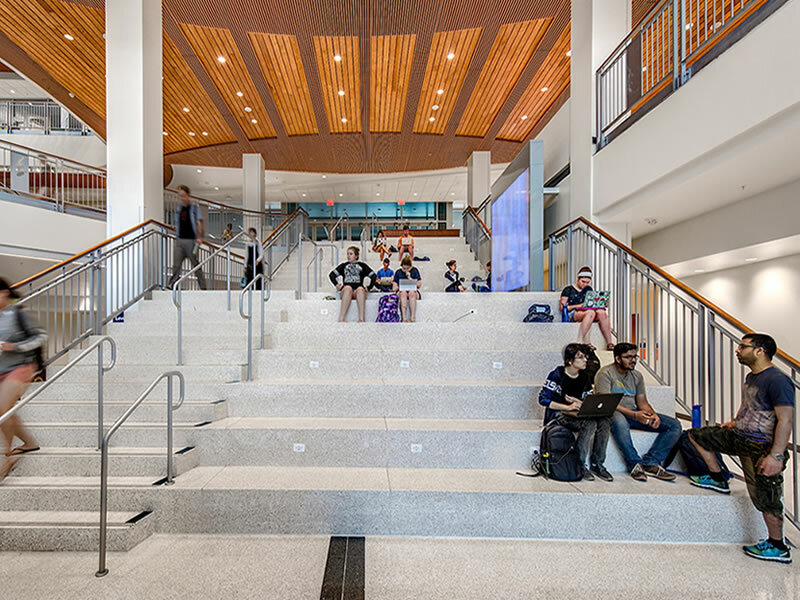 The expansion and renovations were designed to provide endless opportunities for growth and learning for students with new lounges, study spaces, meeting rooms, dance studios and more. 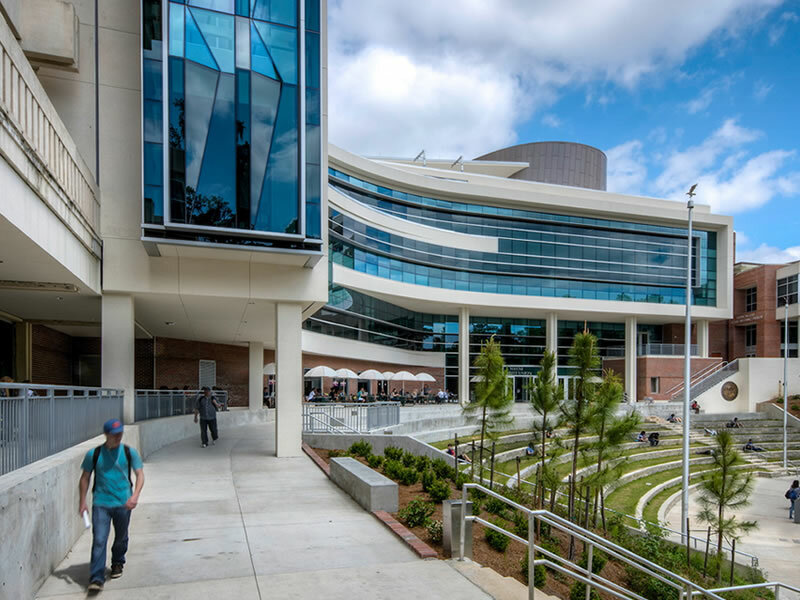 The existing colonnade building was demolished and the new JWRU, at roughly 100,000 GSF, was built in this location. 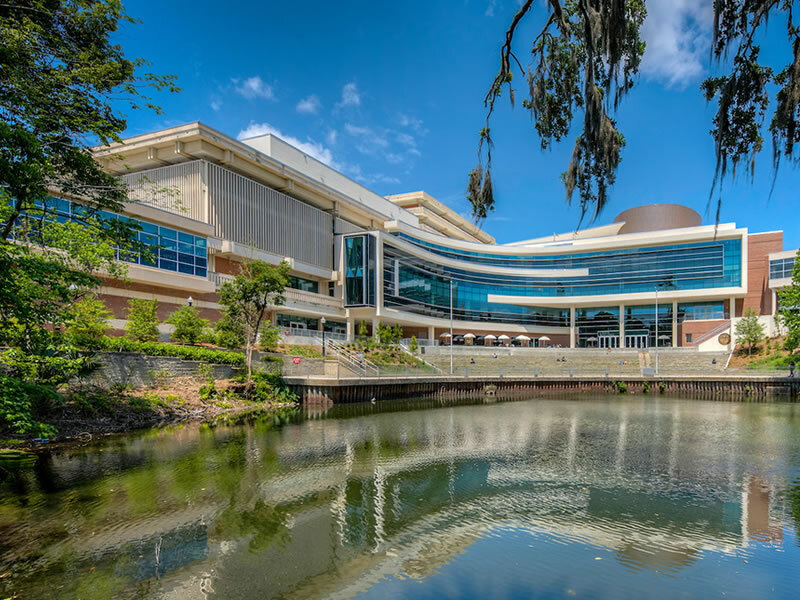 The JWRU was originally constructed in 1967 when there were only 19,000 students attending the University of Florida. 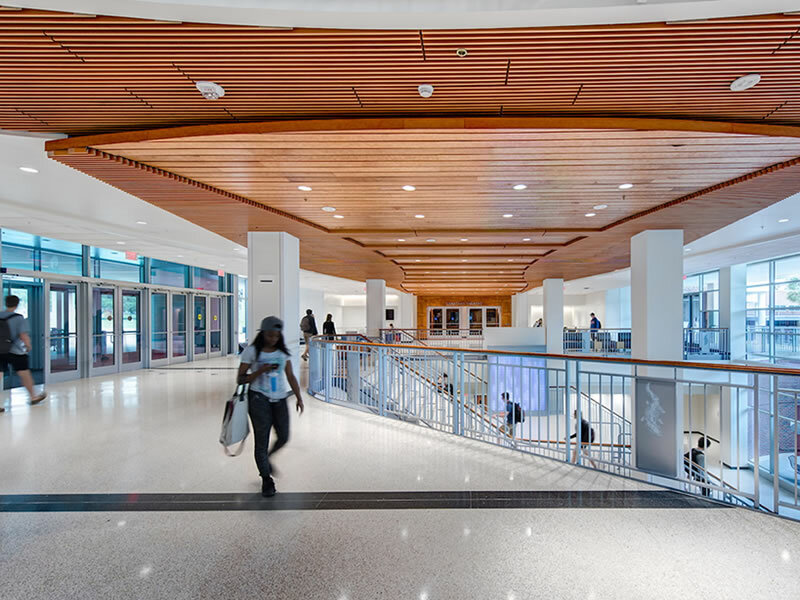 This project was the first major expansion of the student space since that time, with a current student enrollment of roughly 50,000 students and over 900 registered clubs. The horizontal lateral load resisting system of the completed structure consists of roof deck which serves as a flexible diaphragm and composite steel floor deck that distributes lateral loads to collector framing and vertical lateral load resisting systems. The vertical lateral load resisting system consists primarily of ordinary reinforced concrete shearwalls, structural steel moment frames and braced frames.